Have you noticed that I have been writing about Google AdSense? Well, Google AdSense is a proven and tested advertising program where you can really make money online. Google AdSense is the first advertising program that I joined. But I have to warn you, it take times to earn money from Google AdSense if you are not writing often for your blog. I will not say that it was a mistake on my part because I rarely wrote content for my blogs for the past few years. I just did not regret anything. I still write whenever I like to write and whatever I like to write. I just do not write for my readers only, I also write for myself. I just do not find it right when I will write content for my blogs for my readers only even if the readers will enjoy the articles. I really find it necessary that I have to enjoy writing for myself as well as for my readers. That way my readers and I will both enjoy and learn from what I wrote. There are a lot of things to consider when we are writing content for a blog. Other than the title, the ethics and best practices in writing, I have identified two things to remember that are important when writing content for a blog. The question is, isn’t it that we already defined our niche before we even started problogging? Yes, but it is always advisable to remember our niche when writing content, for focus. When I am writing content for this blog, I always think about the topic of this blog. 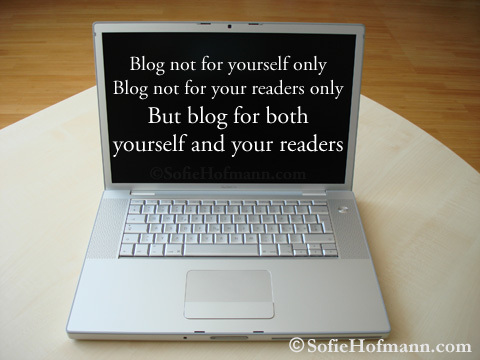 I need to remember what my blog is all about so I will not write beyond my blog topics. I already registered a domain name. I already have a web host to host my blog. I already have a topic that I intend to write about and share with others. So, why did I wait for three months to start writing content for this blog? Yes, I waited for three months before I started writing for this blog. In my opinion, I think I wasted those three months. If I did not wait for three months then I should already have a lot of contents on my blog. I should have more than ninety (90) blog entries already and enough to show to several affiliate networks or advertising networks. I should have earned some money already. Maybe? Yes, I think so, I could have earned already. A cent is always a cent. A cent everyday is thirty (30) cents in thirty (30) days. A cent everyday is thirty-one (31) cents in thirty-one (31) days. Assuming that I am an affiliate of a certain pay per post advertising network. I have an opportunity to write a post worth five (5) US dollars per post. If I have written one (1) post a day for thirty (30) days, then I could have earned one hundred fifty (150) US dollars for a month already.